At Chatsworth Preschool, learning experiences are closely linked to the Nurturing Early Learners (NEL) - A Curriculum Framework for Kindergartens in Singapore (revised 2012), which is developed by the Ministry of Education, Singapore, with specific meaningful contexts for children to construct knowledge and make sense of the world around them. The following six key learning areas as depicted below are acquired in a progressive approach with increased breadth, depth, and complexity throughout their preschool years. Pre-school years are critical years in which children learn to make sense of themselves in relation to the world around them. Chatsworth Preschool provides a caring environment where your child can feel confident to take risks, whilst feeling safe, supported and loved. We guide children in the process of learning through playing, sharing, negotiating, and expressing their feelings appropriately. We help children to become more sensitive to the needs of others and to develop respect for those around them. We guide them in developing the necessary social skills to establish meaningful relationships with adults and peers, and to work cooperatively as a group. We encourage them to build their independence and confidence. To help children make sense of the world we are living in, we engage them in various project topics that facilitate their thinking process. A project is an in-depth investigation of a topic that is of interest to the children. Through projects, children are encouraged to explore and develop an interest in the world they live in. Children generate questions, wonder, investigate and discover how and why things happen and work. They are provided with the opportunity to research topics of interest by exploring the environment and gathering information through a variety of sources. Children develop positive learning dispositions towards the world around them by showing care and respect for the environment. For our Playgroup, a thematic approach will set the foundation for the integrated learning programme at school. 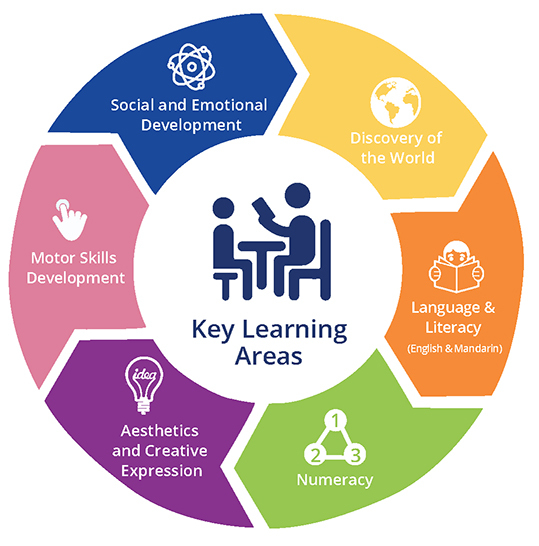 The learning objectives of discovery, art and music, language and numeracy, social and emotional development are met through purposefully planned experiences and activities of pre-determined themes. Children explore, acquire and apply different skills and concepts. 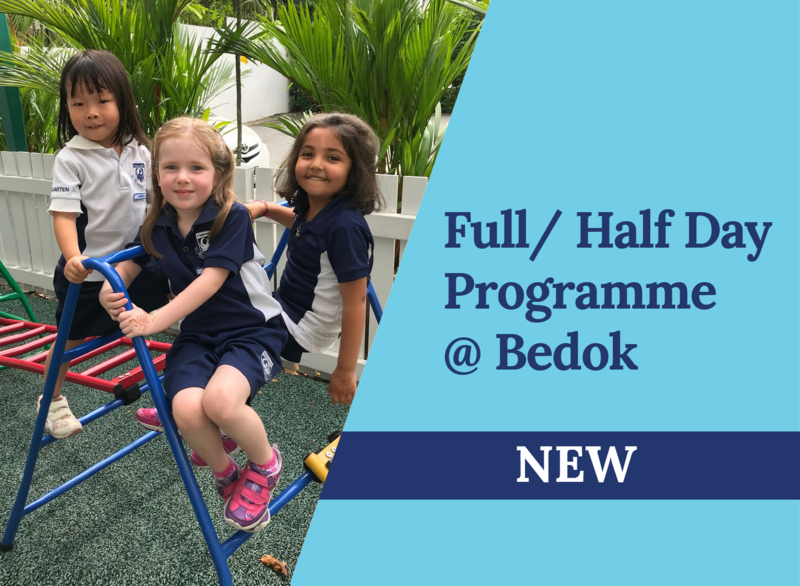 We strongly believe that the experiences in playgroup will equip children with the essential skills and knowledge to venture into the various learning settings in Pre-Nursery level and beyond. Children at Chatsworth Preschool are part of a holistic literacy programme (English and Mandarin) where they are actively involved in reading, writing, listening and speaking. The preschool adopts a creative, multi-sensory approach towards introducing phonics. Daily modelling and shared writing experiences heighten the awareness of concepts of print and enhance phonemic development. With opportunities to consolidate and organise through verbal communication, children are encouraged to express their thoughts and ideas verbally. Through a range of auditory games, cooking, experiments and crafts, children develop skills to communicate their understanding with their active participation. Children are actively involved in their Mandarin sessions and are able to appreciate and understand Mandarin. Mandarin sessions focus on the development of the spoken language through the use of songs, rhymes, stories, dramatisation, art, craft and games as well as introducing children to the written form of Chinese characters. Numeracy is a part of everyday life at Chatsworth Preschool. Children are involved in a wide range of meaningful experiences using concrete materials to explore their mathematical world to aid their understanding. By identifying and applying simple relationships, patterns, numbers, basic shapes and spatial concepts in daily experiences, children refine their understanding and acquire the necessary skills related to numeracy. Aesthetics and creative expression is an integral component at Chatsworth Preschool. Children are encouraged to explore, create and express themselves through art, dance, dramatisation, music and movement activities. Children enjoy art, music and movement activities and develop the competency to explore the various elements of art and music. These opportunities will enable them to make a connection and appreciate arts. Motor skills development incorporates gross motor, fine motor, manipulative skills, balance, coordination, locomotion, strength, fitness and outdoor play activities. Acquisition of these skills and attributes are an integral part of a child’s overall developmental growth. Children will be involved in different types of movement activities daily. We have a range of outdoor equipment and outdoor area for activities, games, a sand pit for digging and a playground.